Hey everyone! I’m Ashley from the blog 3 Little Greenwoods. 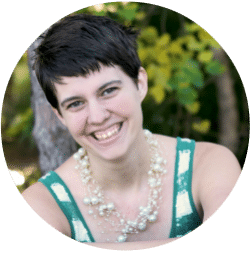 I am beyond excited and honored to be a guest contributor on Beauty Through Imperfection. 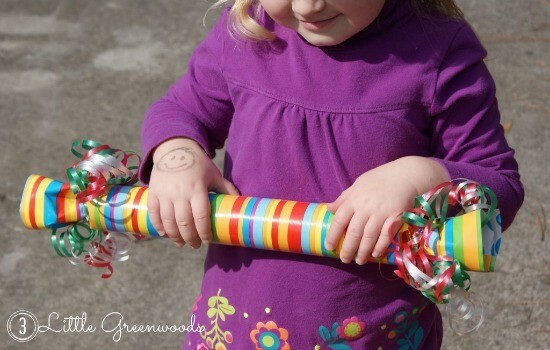 Today I’m sharing a a fun and easy birthday gift idea with you: Birthday Poppers! These are a great gift for any child’s birthday party. The best part is they can be really inexpensive and totally cute! 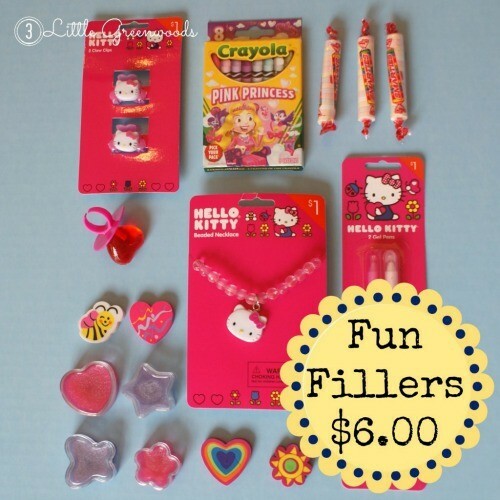 Perfect for all us mamas on a tight “birthday party” budget. 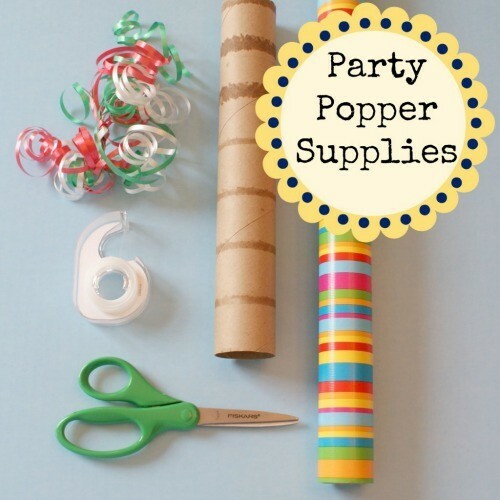 Chances are you already have everything you need to make a Birthday Popper. Tootsie (our three year old daughter) just happens to be invited to a sweet friends party this weekend. 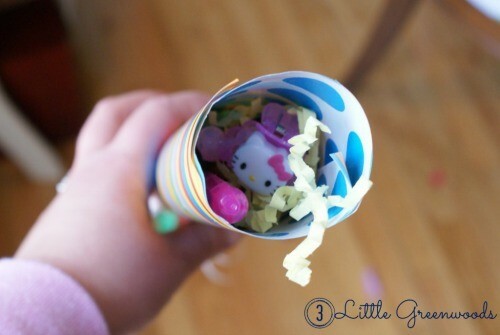 The birthday girl’s popper will be filled with candy, cute Hello Kitty! items, lipgloss, and crayons. Here’s the quick and easy way to make the poppers. 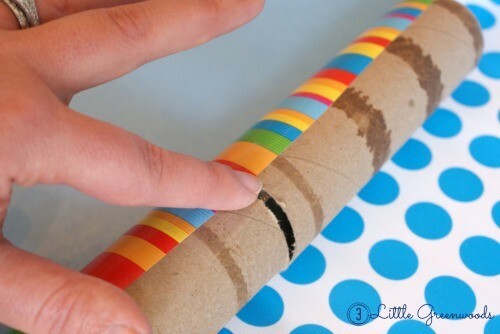 First, cut the paper towel tube in half. Attach the paper using a small piece of tape over the cut. Next wrap the tube with the paper and secure with two more pieces of tape. Use curly ribbon to tie up one end of the popper. Fill the tube with fun prizes! I used the handle of a wooden spoon to carefully push down the goodies. 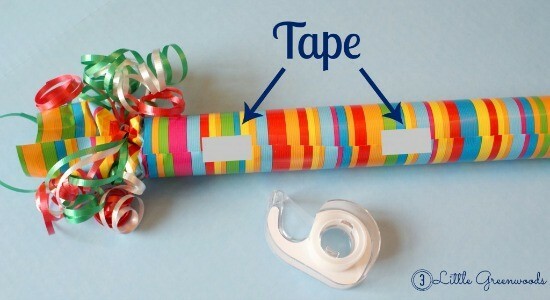 Tie the other end with curly ribbons and you’ve got the perfect (and frugal) birthday gift! Tootsie cannot wait to share the Birthday Popper with her sweet friend! 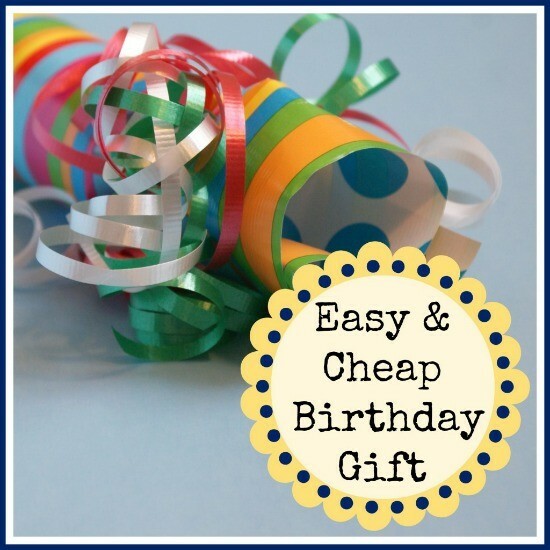 I would love to hear your ideas on how to save on children’s birthday gifts! Do you have a craft project you make or one toy that is a perfect fit for both genders? Tootsie’s got a ton of little friends and I need all the ideas I can get! This is so fun! I have been trying to convince my little man that pinatas aren’t fun, (I am concerned about him hitting something other than the pinata) maybe I can convince him with one of these! I think I will incorporate this into his b-day that is coming up! Hey Heather! I was thinking EXACTLY the same thing! Making these instead of pinatas are a great idea! Another Super Cute Idea! I may make some out of TP roles instead of paper towel ones for birthday Party Favors!!!! Hey Sweet Lady! Party favors are a perfect idea! Thanks so much for sending me blog love! Yay Ashley! These are great. I might just have to copy this. Pinning it! Hey Deonna! Thanks so much for pinning! What a fun idea! I love how easy these are…I am thinking I will use these as little surprises for my little guy. He would LOVE how they pop open! Great idea! Hey Sabrina! I’m so happy you like my Birthday Poppers idea. 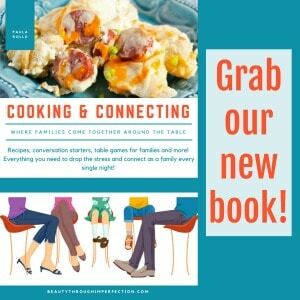 They were a huge hit with my three children!